I have really good memory, so I remember faces, but when you really know someone you learn what they are saying without having to speak. Knowing someone’s face allows us to look into someones eyes and be able to tell if they are not okay, despite the front they put up. The face of God means His presence & His mercy: it is to have access to him. Imagine God hiding His presence from us, and holding back His mercy from our lives. It sounds pretty awful, and it is. Our deliberate disobedience causes God to hide from us. God is a good God, but before He is good- He is Holy. We must admit that when we disobey God, we selfishly choose our selves. If we choose God, if we were dead to our flesh, if we were carrying our cross and denying our carnal desires- we would walk in obedience at all times, no matter what. But we don’t. We have a sinful nature which has to be disciplined and denied daily. The bible says Jesus is able to sympathize with us, because he experience all of the challenges we go through-this is why He offers us Grace: to sustains us, and keep us, from condemnation and guilt. God is holy, so sin and God cannot abide together. We can not choose sin and choose God too: it is either- or. God’s grace enables us to be empowered to do God’s will, restores us from our fallen nature and tendencies, and grace also forgives us to reconciliation and transformation. But sadly, many times we knowingly choose sin, and eventually develop an unrepentant heart, and this draws God away from us; He will hide His face from us. A few years ago, I went through a turbulent time of shaking and I began drowning in sin. It started out with the cares of this world, I began to neglect my relationship with God because I could not get a steady balance with my time. Being so disconnected from God, my desires for God decreased and my desire for me grew: From materialism, to sexuality, to worldliness- I went through it for a few months. 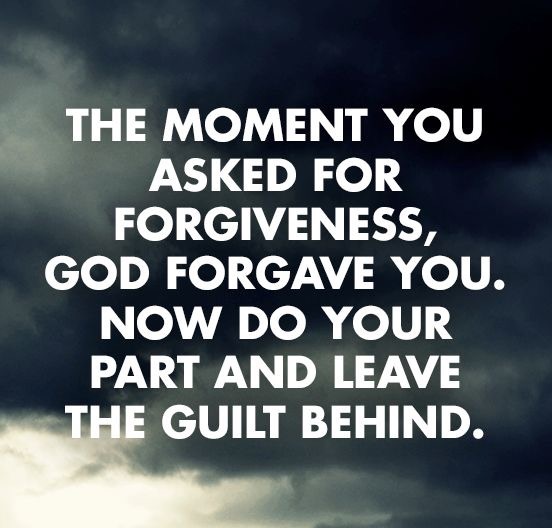 In my heart I felt guilty, and ashamed to even come to God- I no longer knew how to pray because I figured God will not even listen to me- I do not deserve it anyway. I could care less for church, and I felt isolated from the bredrin. But isn’t it lovely how God’s compassion reaches us afresh every morning? In the old and new testaments we learn of a God, who warns and disciplines- but this same God would take us back in a second. When we walk with God we come to know the God of second chances. It is not okay to live a lifestyle of sin, a lifestyle of disobedience, a self centered life. There are things that God winks at when we first come to Christ, but He will not wink at those same things, years down the road. If I allow myself to be consumed by the cares of the world again, it would be by choice. And this is not appeasing to God. Sometimes I think God gave somebody the slogan “when you know better, do better”; because He holds me to a standard. If I do not meet that standard, it is either neglect or rebellion. And rebellion is to deliberately choose you, over God. While neglect is a mishap. God knows our hearts, and he knows if we are being defiant or if we truly are struggling: if we are running from sin or playing with sin. We can fool people, but we cannot fool God. Again, it is nice to know God is a merciful God- because we can come to Him and He will help us out of the pit, if we wholeheartedly desire to change our ways. I remember being in my bathroom and crying out to God to give me a repentant heart- because in me there was no desire to be separated from the sins that I so very much enjoyed. And God answered my prayer, He changed my heart. In Isaiah 54 speaks to God’s people; He tells them I will make you forget the shame of your youth, I will take you back, I will build you up again and decorate you with precious jewels, because I am your maker- I am your husband. I was mad at you, disciplined you and hid from you but I am back to fulfill the promises I made to you. Not because you deserve it, but because I made a promise to you- and even if you are unfaithful, I remain faithful. When I came back from my sin escapade, God gave me this chapter of Isaiah and it began to mend me back together. I saw how God protected me from my own desires and fears, and how he kept me from total backsliding, and how he fought for me to get back in position. I saw how powerful it is to go to church, even when you feel separated from God- and how necessary it is to seek repentance. Father God, thank you. Thank you for your grace and mercy, thank you for forgiveness and restoration. Thank you for keeping us together when we are falling apart, and thank you for being the sovereign God that you are who hides us from the tactics of the enemy. I present to you my loved ones, and myself, may we learn to discipline our hearts and minds to not be overruled by our flesh. May we seek your face, and choose to run from sin. May we learn to hide in you, may you be our refuge God, and may we willingly humble ourselves before you. I pray for those who are battling with their flesh and emotions, and also for those who have begun to swerve into sin- I pray you pour a fresh revelation of your love to them- because I know your love would cover all of their wrongs. In Jesus name, I pray, Amen.